I threw my 3rd meet in May 2017 in Lewis Morris Park Morristown, New Jersey. good turn out for being a meet that was planned less then a month notice. Thats all the pictures I have enjoy!! Those are some nice rides. Is your car the red one with the 5 lug and RL calipers? lol, when i seen the first photo i thought the meet was just going to be you and your car. I must say, i like all of these cars. I like the one with the double front lip. 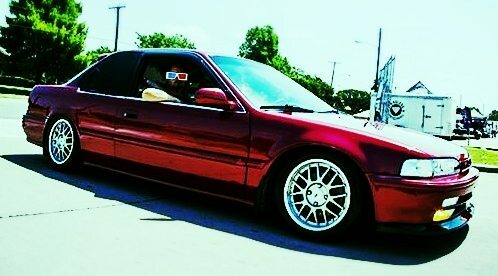 I got love for that red coupe nice build for sure and of course the bordeaux sedan is just an exceptional car Very, very good job on that one!! Looking through these pictures may have sparked me to get my car running again.... So many clean cars and good people, something I had forgotten about in all these years. Glad you guys are still making it happen.